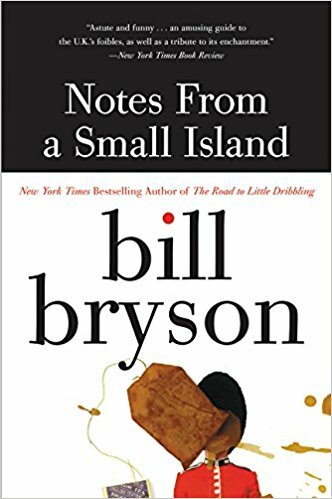 One of the most enjoyable features of Bill Bryson’s travel books is his curiosity about everything and his willingness to go off on wild tangents. At Home is his attempt to inform himself and us about the objects of ordinary life, using his own home as a base for his explorations. But really, it’s his excuse to go off on tangent after tangent. For example, his chapter on the cellar—he organizes his book by the rooms of the house—takes us to the building of the Erie Canal which takes us to the development of hydraulic cement then to the use of building materials in the United States versus England, a short history of Sir John Nash’s career, and so on. In fact, the contents of this particular chapter seem to have little to do with the actual room, except for the cement. In reference to other rooms he discusses the history of various foodstuffs, the use of certain pieces of furniture, cemeteries, the history of how human mortality is treated, and even the history of gynecology. As always with Bryson, his comments can be amusing and the observations enthralling. If you like learning interesting little facts, this is the book for you. My edition was the illustrated one, which is full of fascinating photos and other pictures. 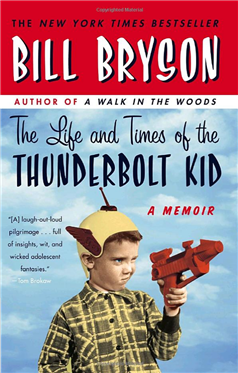 The Life and Times of the Thunderbolt Kid is billed as a memoir, but it is even more a collection of information and odd facts about 1950’s America, each chapter headed by a strange newspaper clipping from the time. This book is one of nostalgia similar to the work of Jean Shepherd, the humorist whose works centered on a slightly earlier time and author of the books that spawned A Christmas Story. 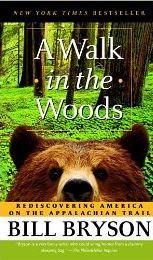 The memoirs bear many similarities to Shepherd’s, possibly because of the similarities in the imaginations and predilections of young boys, although Bryson’s continue on into the 1960’s and lose a lot of their innocence as the boys become obsessed with gaining glimpses of naked women and stealing beer. I’m guessing that a lot of the humor, with its emphasis on body functions and pranks, would be more amusing to men than to women. Still, I found the book mildly funny. It turns out that I am roughly one month older than Bill Bryson, so I can vividly remember many of the things that Bryson relates as curiosities, clambering under our desks for the absurd air raid drills, for example, or going to view model air-raid shelters. Bryson grew up in Des Moines, a much bigger town than my own, so his memories are a little more urban than mine. One place where my memory differs from his is in his repeated assertions that the Russians would never bomb Des Moines. When I was in the seventh grade, I distinctly remember being forced to watch an “educational” film during which we were informed that our town was among the top three bombing targets in the country (which is, of course, absurd, but we believed it). My subsequent informal research (occasionally asking people) has lead me to believe that every school child in America was told the same thing. Readers Bryson’s age can take a brief look back through time in an afternoon of light reading. Younger readers might be surprised at some of the tidbits Bryson has uncovered, but they were no surprise to me.